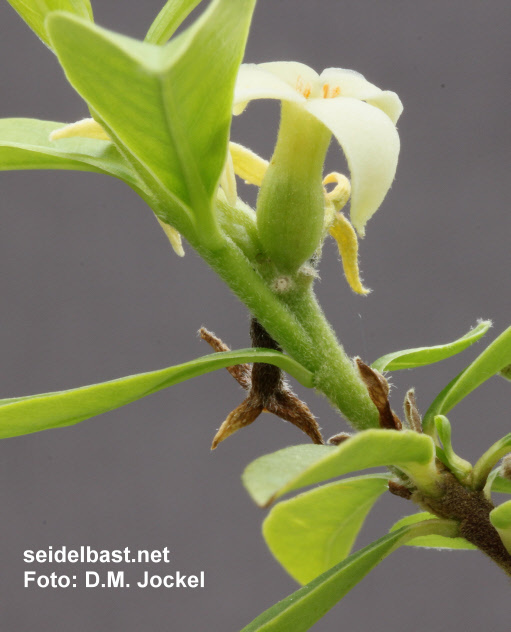 Often confused with Daphne longilobata but Daphne acutiloba belongs to the subgenus Rhedera in section Rhedera. 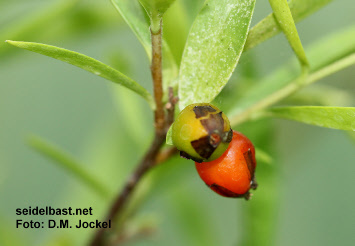 The classifying characteristic for section Rehdera is the sympodial growth. 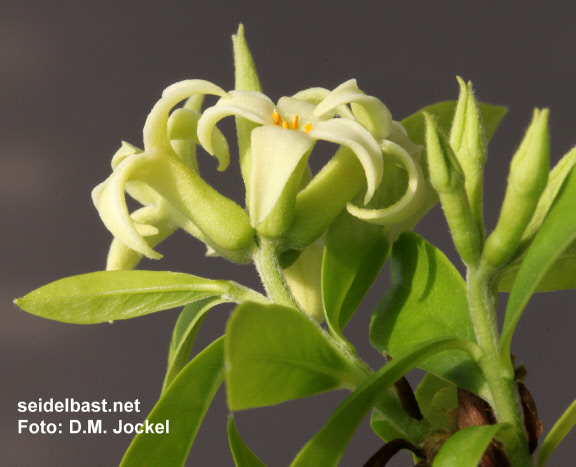 This means that the inflorescence and the new shoot are equal in rank and start developing simultaneously from one point of growth - see also picture below. 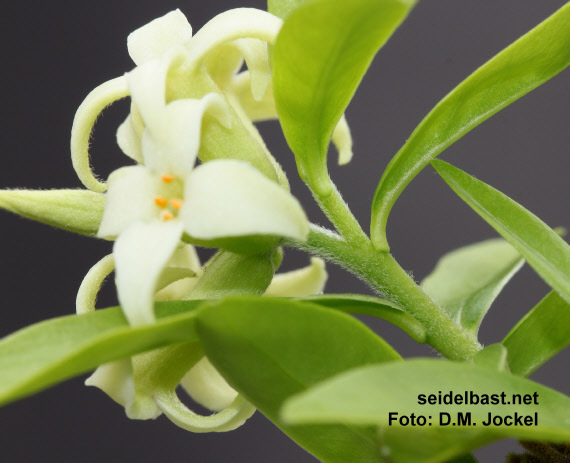 In most cases the calyx tube of Daphne acutiloba is greenish to white (J.J. Halda listed an exception but it seems that those plants are not or rarely in cultivation, not confuse with Daphne DJHC 98164) and Daphne acutiloba flowers only in spring and sometimes again at the end of summer. 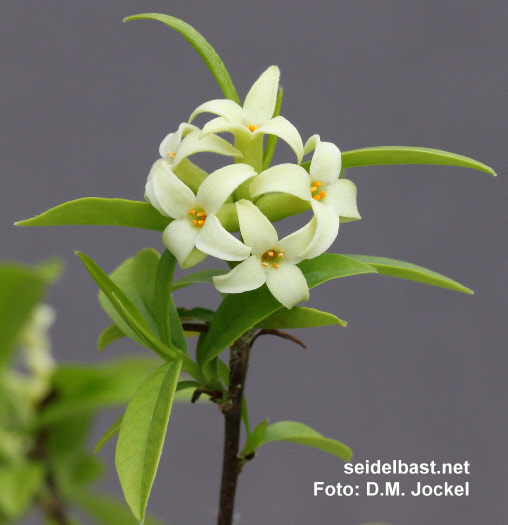 Daphne longilobata is subgenus Sophia with lateral or terminal inflorescences, same as Daphne caucasica or Daphne alpina. There is always a time lag between the growth of the new shoot and the short shoot for the inflorescence. 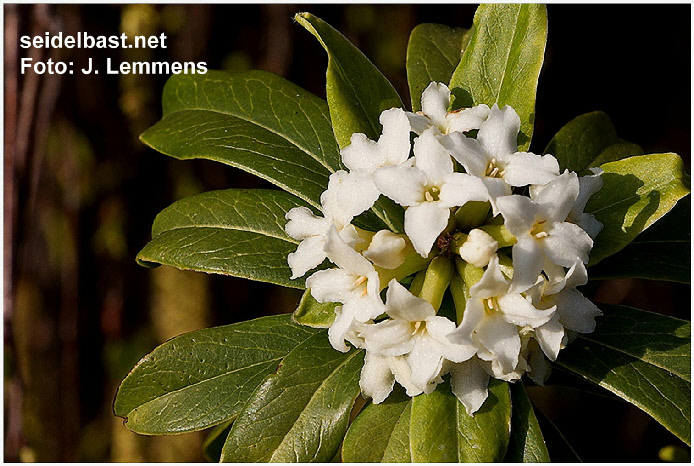 Please compare with the picture on the Daphne longilobata page. This description is well visible during the first time when the new growth starts on a branch. From China comes Daphne acutiloba ‘Fragrant Cloud’. 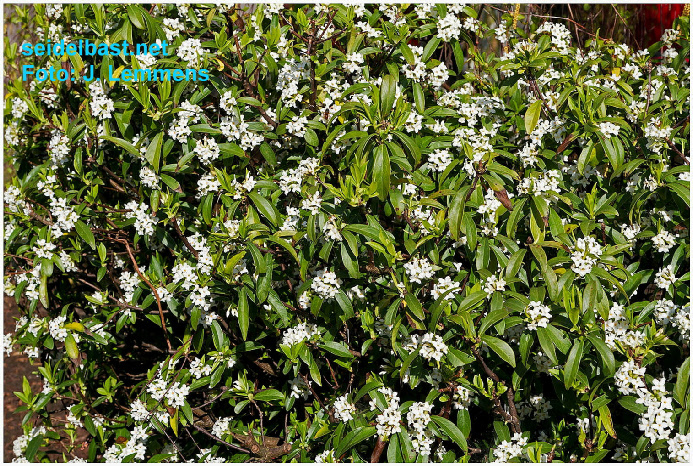 The leaves look more leathery and the whole plant gives a robust impression.